Your azaleas are produced in a prime azalea-growing region west of Portland, Oregon. We have two locations with over a million square feet of production space. 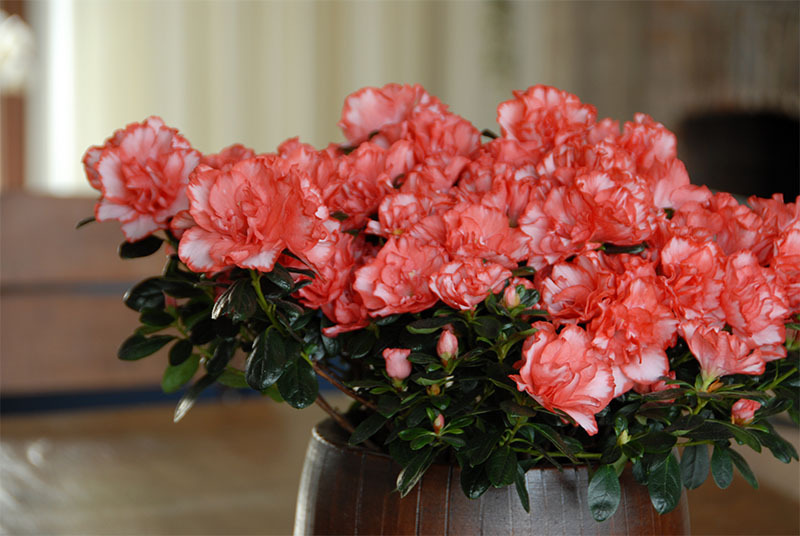 These advanced facilities and systems not only mean the very best in floral azaleas, they also enable us to keep our growing costs down—and pass the savings on to you. We combine the natural gifts of the Pacific Northwest growing region with our many years of experience and the most technologically advanced greenhouses and storage facilities to ensure you always receive healthy, vibrant plants. Panzer has a close working relationship with a number of European breeders. We are constantly working with them—as well as in our own greenhouses—to develop new varieties and colors that will provide you and your customers with beautiful, consistent, and long-lasting products. If you don’t see what you’re looking for, just ask us. With our large refrigerated facilities and fast shipping, there’s no need for you to maintain an expensive cooling facility to hold your inventories. Just call us, order the product you need at the flowering stage or stages you prefer, and get your order fast. Copyright © 2019 Panzer Nursery. All Rights Reserved.